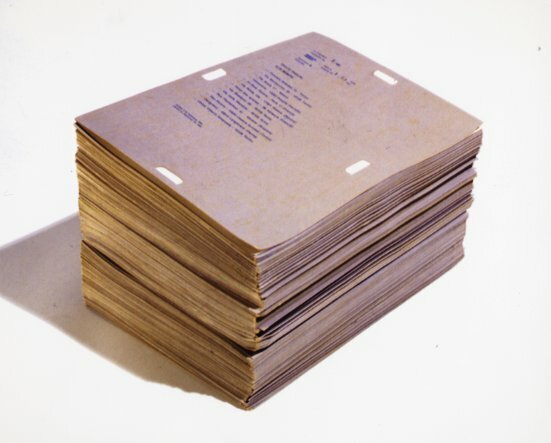 Alighiero Boetti began making postal works in 1969, marking a departure from his previous involvement with the Atre Povera movement and showing a new interest in systems and chance operations. For Viaggi Postali (Postal Voyages) 25 friends, co-workers or family members were selected. 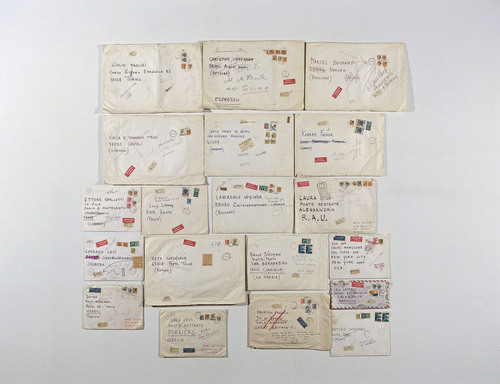 The artist sent envelopes addressed to his 'travellers', knowing they would be returned as undeliverable. 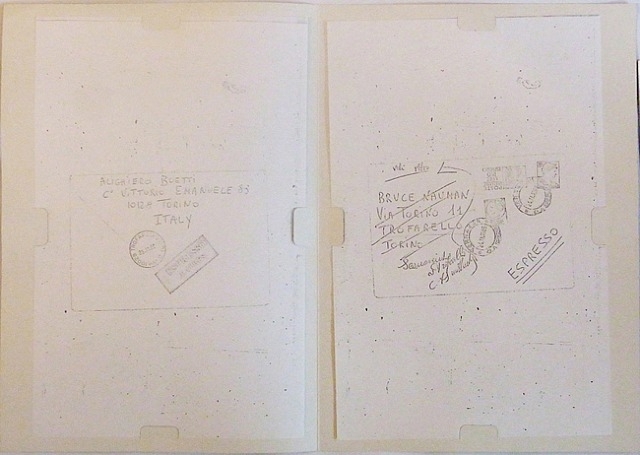 Boetti photocopied the returned mail, placed it into a new envelope and sent it on its next journey. These photocopies were gathered together and systematically ordered in the Dossier Postale (Postal Dossier). 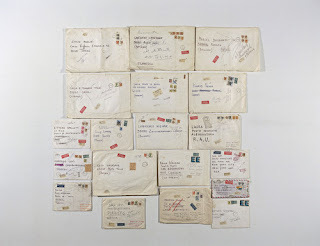 Imaginary journeys were drawn up for his addressees; Boetti would send the gallerist Leo Castelli on a tour or Morocco's grandest hotels, his colleague, the artist Giulio Paolini, would be sent to every address Boetti had ever lived in. Other 'recipients' included Marcel Duchamp, Bruce Nauman, Lucy Lippard and Seth Siegelaub. Each envelope contains the entire journey, though it is invisible to the viewer. 19 of the original 25 'journeys' were completed, with 6 not returned.